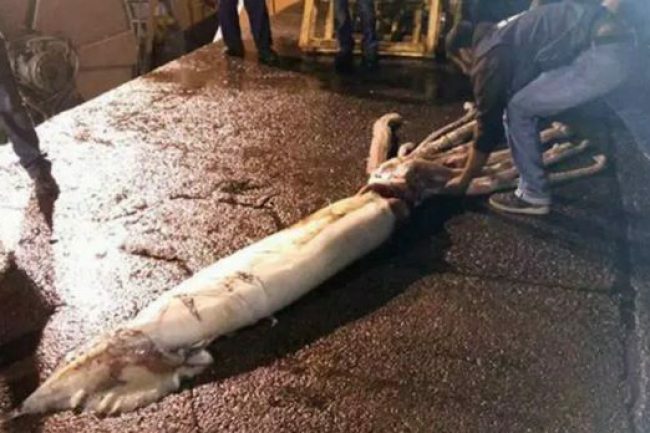 The 10 metre long giant squid was caught by the fishermen aboard the boat Minchos only a few miles from the Strait of Villaviciosa, Spain. The female fish, which was trapped in a net trawling at a depth of almost 500m, has now been frozen and will be transported to a local lab for an autopsy. 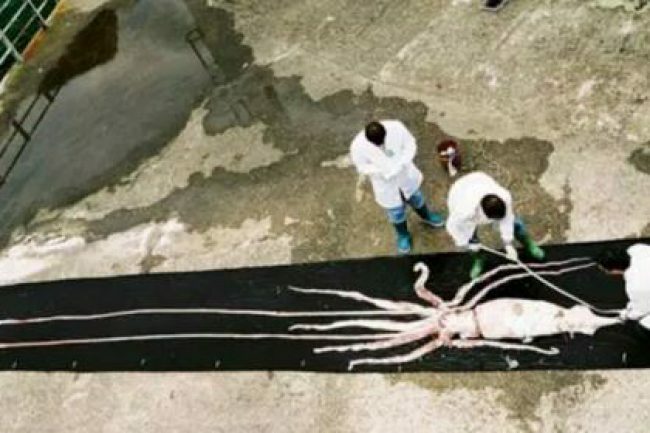 CEPESMA already has two frozen giant squids and are planning to show them in an exhibition of eight giant squids at the start of next year. Yet the trawling of fish off Spanish coasts has attracted criticism from groups such as Greenpeace, who call it a ‘totally unselective and most damaging method’ of fishing.